Dhanush has just come out with a really huge announcement about his next film in Hindi. Balki, of Paa and Cheeni Kum, would be directing the film and like other Balki ventures, this one would also have the presence of Amitabh Bachchan, Maestro Ilayaraja's music and P.C.Sreeram's camera work. Privileged to share screen space with Big B himself.Ecstatic 2 be part of Raja Sir's musical again. Finally, a chance to work with P.C sir !" The national media has been abuzz with news about this film and now Dhanush himself has confirmed the same. It isn't clear yet if Akshara Haasan would be acting in this film, as speculated. This page hosts a weekly slideshow related to Tamil movies. Each slide includes a picture and some description about that picture. All the slides will have a recurring theme. People looking for actress stills, actress images, actor stills, actor images, movie stills, movie images, and other interesting topics, relevant issues in Tamil cinema will find this page useful. 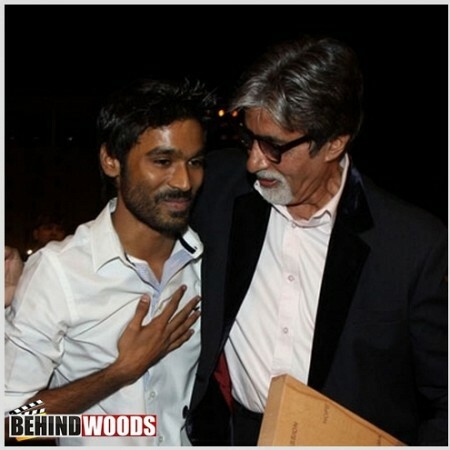 Dhanush | Ajith,Dhanush,Simbu and their big partnerships - Top 10 News.